Night Paddle on Bayou Manchac! It’s official. 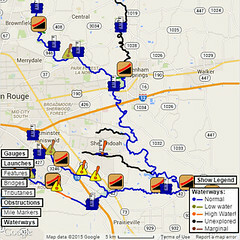 Our July night paddle will be this Saturday (the 23rd) down that delightful night paddle waterway, Bayou Manchac. 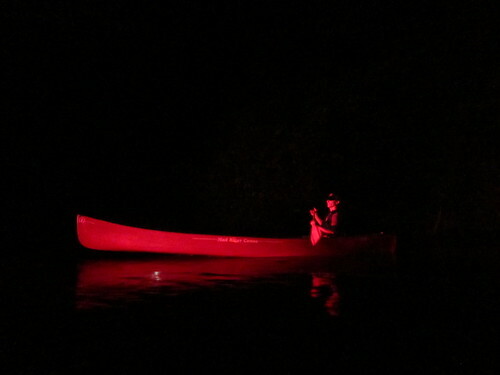 What: A relaxing 5.6-mile red-light-night paddle down Bayou Manchac. Who: Anyone who wants to enjoy a nice night paddle. When: Heading down the bayou at 8pm. Where: Starting where Alligator Bayou meets Bayou Manchac (Alligator Bayou Road in Prairieville), and ending on Camp Drive in Prairieville. If you’re coming with your own boat and want to two-car it, or if you’d like to park at the exit point and pre-shuttle, we can give you the ending address. Shuttling back to the start after the paddle is also available with no prior commitment but perhaps slightly slower service. To reserve a space or arrange for shuttling, contact us at 225-366-8254 or send an email. As always, donations are graciously accepted but never obligatory. I would LOVE to reserve one canoe for me and my friend Don for Saturday night the 23rd. Please confirm you have one available if you do, and please clarify–meeting time is 8pm or in-the-water time is 8pm (meaning we need to arrive earlier)? Thanks, and we are looking forward to it!! !